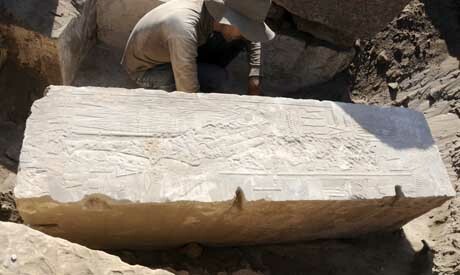 During excavation work carried out by a German-Egyptian mission led by Felix Arnold on Elephantine Island in Aswan, blocks from a way station for the god Khnum's festival barque from Queen Hatshepsut's reign was found. Head of the Ancient Egyptian Antiquities Department Mahmoud Afifi said the new discovery was important because it would give scholars some insight into the religious rituals practiced on the island during Hatshepsut's reign. It could also shed more light on the mysterious queen herself during the early period of her reign and her engagement in the Aswan region. "This is one of very few buildings discovered from the early period of Queen Hatshepsut," Afifi told Ahram Online, adding that the only other one was discovered in Karnak. Arnold pointed out that the barque's way station building was later dismantled in antiquity and some of its blocks were found by Swiss excavators in previous archaeological seasons. This season, he continued, the German excavators discovered about 30 blocks in the foundation of the god Khnum's temple built by King Nectanebo II. "Although a large amount of blocks from the barque's way-station building were found along several archaeological seasons, the blocks found this season have clarified the meanings of the other blocks," Arnold said. In the reign of King Thutmosis III, all mentions of her name were erased and all representations of her female figure were replaced by images of a male king, her deceased husband Thutmosis II. Afifi told Ahram Online that the building could be reconstructed to its original appearance based on the blocks found so far. The building would probably have had a chamber lined on all four sides with pillars on which Khnum’s barque rested. The pillars would bear representations of Khnum and other gods, including Imi-peref, which means “He who is in his house,” Nebet-menit or “Lady of the mooring post,” and Min-Amun of Nubia. 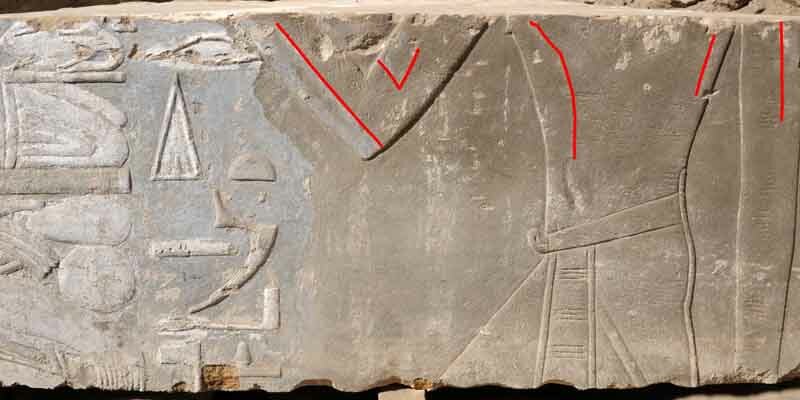 Apart from the fact that this discovery represents yet more evidence that excavation can still produce wonderful results, your photographer is to be congratulated on managing to capture the faint traces of Hatshepsut's name, in the defaced cartouche, something that is not always possible in daylight exposures. 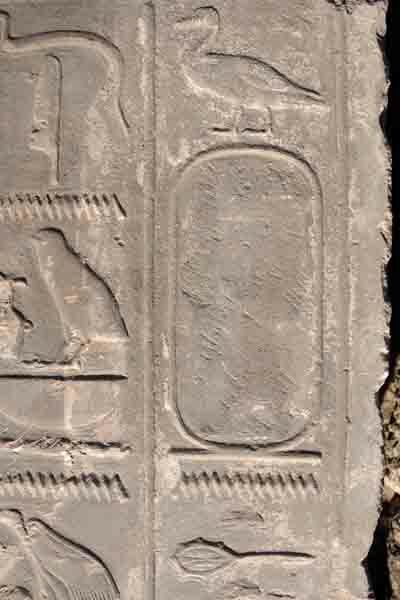 Is it me, or can anyone else see the queen given the epithet "Daughter of Ra", rather than the more usual male form, immediately above this cartouche? If so this discovery is even rarer &, possibly, more important.